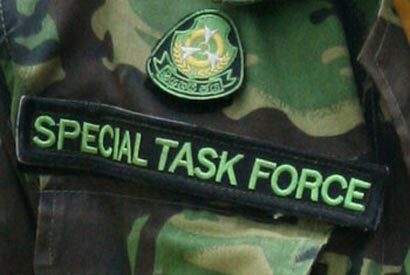 Two persons, suspected to be involved in several organized crimes, were killed following a shootout with Police Special Task Force (STF) personnel in the Ratmale area in Dikwella last night, police said. The shooting took place at around 12.00 midnight yesterday (Feb. 01) after the STF received information regarding the whereabouts of the suspects. An operation was carried out to apprehend the two men who were in a three-wheeler in Ratmale at the time of the incident. The three-wheeler had toppled as they attempted to arrest the suspects, who had opened fire at the STF personnel. The STF had then returned fire resulting in the deaths of both suspects, police spokesman SSP Ajith Rohana said. He stated that one of the suspects, who were from Dikwella and Minuwangoda, had been involved in a series of murders. Two Special Task Force (STF) personnel have also been injured in the shooting, he said.